All your evenings entertainment covered with Alex who will operate as a 2 man team which will feature his floor filling ‘Solo Loopist’ sets as well as a free DJ service with Alex’s professional DJ and stunning lighting show. Alex will also learn and create an arrangement of your first dance song if it’s not all ready featured on the song list and will also record a rough demo for you to approve in the final weeks before the big day. What does the evening entertainment package include? Live First Dance Performance (learnt and demo recorded if not featured on the song list). 2 Live Solo Performances (around 45 minutes – 1 hour each). Free DJ & Disco Service with Lighting Show. 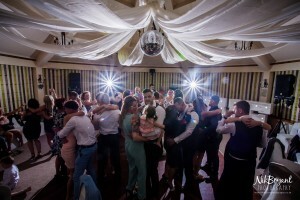 If you’ve already got a DJ included with your venue which you’d prefer to our have to stick with, no problem, Alex can work with them no problem making sure both DJ and Live performances compliment each other and work on a programme with you to make sure you get the evening party your want! Lighting setup from Alex Birtwell on Vimeo. What does a usual programme for an evening party look like? The following is an example based on an evening start time of 7:30pm and a music curfew of 12:30am.
. Alex on Google +. Alex Birtwell Wedding Entertainment.Alex can offer a complete entertainment package perfect for any wedding having performed at various weddings in the UK and Europe. Whether it’s a Solo, Duo or Band performance your require, Alex is not just a wedding singer but a talented musician and entertainer. He will work with you to pick out the perfect set list for your big day getting your guests involved and singing along. Whether it is an all day entertainment package, a ceremony or wedding breakfast performance or just a full evenings package with disco staged with a stunning light show, Alex can tailor a program to suit your requirements. 31 Spring Meadows, Accrington, Lancashire.